Event Description: Approx 12:45am today, I’m driving a 21ft B+ RV, in the left lanes by the spaceship house, behind the larger RV in the picture. 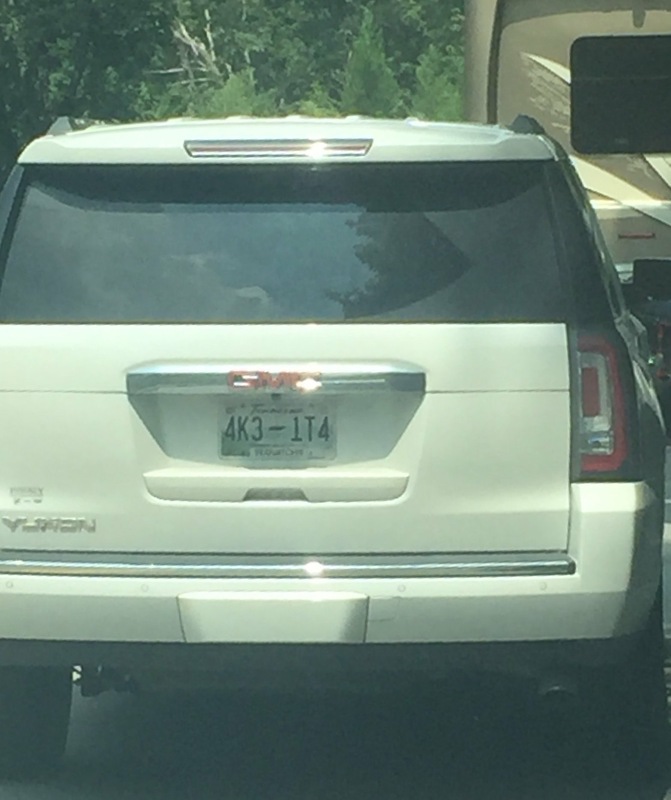 This Yukon passes me on the left, across the double lines and nearly into an oncoming car (that swerves to miss). I let it in between the two RV’s, and it attempts to pass the larger RV on the right just past Balmoral, where there is about 1.25 lanes. It almost ran off the road on the right. We let it back in, while honking. It passed the larger RV just past Sunset on the way up the mountain very aggressively.